Shed City and its associates attempt to be as accurate as possible. However, Shed City does not warrant that product descriptions or other content of this site is accurate, complete, reliable, current, or error-free. If a product offered by Shed City itself is not as described, your sole remedy is to return it in unused condition. This site is provided by Shed City on an “as is” and “as available” basis. Shed city makes no representations or warranties of any kind, express or implied, as to the operation of this site or the information, content, materials, or products included on this site. You expressly agree that your use of this site is at your sole risk. To the full extent permissible by applicable law, Shed City disclaims all warranties, express or implied, including, but not limited to, implied warranties of merchantability and fitness for a particular purpose. Shed City does not warrant that this site, its servers, or e-mail sent from Shed City are free of viruses or other harmful components. Shed city will not be liable for any damages of any kind arising from the use of this site, including, but not limited to direct, indirect, incidental, punitive, and consequential damages. Terms and Conditions. The Customer acknowledges having read the following terms and conditions below which form part of every Order/Contract. Shed City supplies Do-it-yourself (DIY) Kits that are compiled based on standard designs and structural components, information and instructions provided by the Customer. This can include modifications to the standard designs to accommodate Third Party Products (such as roller doors, personal access (PA) doors, skylights and other miscellaneous products) and other items requested by the Customer. Contract means a contract for sale, as defined in section 3 of the Australian Consumer Law, by Shed City to the Customer for the products and/or services and incorporating these Terms and Conditions. Customer means the person or legal entity identified in Shed City’s Quotation, Order, Contract or Invoice. Products means the products as described in the Order/Contract Confirmation and may include Shed City-branded products including complete DIY Kits, Shed City manufactured products, Third Party Products and Services. 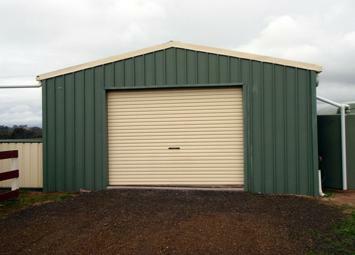 Shed City means Shed City Pty Ltd.
Third Party Products such as roller doors or windows whether or not they are included on Shed City’s standard Product price list. Specifications are drawings and other documents that define the engineering and other characteristics of a product. Shed City has a policy of on-going Product development, update and revision. As a result, Shed City may revise and/or discontinue Products and update or change specification(s) at any time and without notice. Third Party Products means products other than Shed City Products. All content included on this site, such as text, graphics, logos, button icons, images, audio clips, digital downloads, data compilations, and software, is the property of Shed City or its content suppliers and protected by international copyright laws. The compilation of all content on this site is the exclusive property of Shed City, with copyright authorship for this collection by Shed City, and protected by international copyright laws. Shed City’s trademarks and trade dress may not be used in connection with any product or service that is not Shed City’s, in any manner that is likely to cause confusion among customers, or in any manner that disparages or discredits Shed City. All other trademarks not owned by Shed City or its subsidiaries that appear on this site are the property of their respective owners, who may or may not be affiliated with, connected to, or sponsored by Shed City or its subsidiaries. Shed City grants you a limited license to access and make personal use of this site and not to download (other than page caching) or modify it, or any portion of it, except with express written consent of Shed City. This license does not include any resale or commercial use of this site or its contents: any collection and use of any product listings, descriptions, or prices: any derivative use of this site or its contents: any downloading or copying of account information for the benefit of another merchant: or any use of data mining, robots, or similar data gathering and extraction tools. This site or any portion of this site may not be reproduced, duplicated, copied, sold, resold, visited, or otherwise exploited for any commercial purpose without express written consent of Shed City. You may not frame or utilize framing techniques to enclose any trademark, logo, or other proprietary information (including images, text, page layout, or form) of Shed City and our associates without express written consent. You may not use any meta tags or any other “hidden text” utilizing Shed City’s name or trademarks without the express written consent of Shed City. Any unauthorized use terminates the permission or license granted by Shed City. You are granted a limited, revocable, and nonexclusive right to create a hyperlink to the home page of Shed City so long as the link does not portray Shed City, its associates, or their products or services in a false, misleading, derogatory, or otherwise offensive matter. You may not use any Shed City logo or other proprietary graphic or trademark as part of the link without the express written permission of Shed City. If you use this site and/or create an account, you are responsible for maintaining the confidentiality of your account and password and for restricting access to your computer, and you agree to accept responsibility for all activities that occur under your account or password. If you are under 18, you may use our website only with involvement of a parent or guardian. Shed City and its associates reserve the right to refuse service, terminate accounts, remove or edit content, or cancel orders in their sole discretion. Visitors may post reviews, comments, and other content: and submit suggestions, ideas, comments, questions, or other information, so long as the content is not illegal, obscene, threatening, defamatory, invasive of privacy, infringing of intellectual property rights, or otherwise injurious to third parties or objectionable and does not consist of or contain software viruses, political campaigning, commercial solicitation, chain letters, mass mailings, or any form of “spam.” You may not use a false e-mail address, impersonate any person or entity, or otherwise mislead as to the origin of a card or other content. Shed City reserves the right (but not the obligation) to remove or edit such content, but does not regularly review posted content. If you do post content or submit material, and unless we indicate otherwise, you grant Shed City and its associates a nonexclusive, royalty-free, perpetual, irrevocable, and fully sublicensable right to use, reproduce, modify, adapt, publish, translate, create derivative works from, distribute, and display such content throughout the world in any media. You grant Shed City and its associates and sublicensees the right to use the name that you submit in connection with such content, if they choose. You represent and warrant that you own or otherwise control all of the rights to the content that you post: that the content is accurate: that use of the content you supply does not violate this policy and will not cause injury to any person or entity: and that you will indemnify Shed City or its associates for all claims resulting from content you supply. Shed City has the right but not the obligation to monitor and edit or remove any activity or content. Shed City takes no responsibility and assumes no liability for any content posted by you or any third party. The supply of Products and/or services are subject to these Terms and Conditions to the exclusion of any other terms and conditions stipulated or referred to by the Customer. The Customer acknowledges that it has read and understood of these Terms and Conditions and agrees to be bound by these Terms and Conditions. Neither Shed City’s acknowledgement of a purchase order nor its failure to object to conflicting, different, or additional terms and conditions in a purchase order will be deemed an acceptance of such terms and conditions or a waiver of the provisions of these Terms and Conditions. In consideration of payment in accordance with the terms as set out on the order, Shed City agrees to sell and the Customer agrees to purchase the Products detailed on the Order/Contract in accordance with these Terms and Conditions. No Contract comes into existence until the Customer’s Order/Contract has been approved by Shed City and such approval has been notified to the Customer. The Contract is deemed to be concluded at the time and place where acceptance by the Customer is achieved as set out in these Terms and Conditions. The Customer warrants that it is buying the specified Products for its own internal use only and not for re-sale purposes. Customers may order a Product by selecting and submitting the order either on-line or in person at Shed City premises. Any Order placed for a Product is an offer by the Customer to purchase the particular Product for the price notified or quoted (including the delivery and other charges and taxes) at the time the Customer places the order. The Customer is responsible for ensuring their order is correct and in fact what they require, particular attention must be given to the correct specification of colours and sizes. Shed City may ask Customers to provide additional details or require Customers to confirm their details to enable Shed City to process orders placed. Once your order is completed the Customer will receive a notification that the order has been received and is ready for processing by Shed City. All Orders are subject to review and approval of Shed City. An Order approval notification will be given for every Order. Each Order that Shed City approves results in a separate binding agreement between the Customer and Shed City for the supply of requested Products. In certain circumstances, Shed City may need to reject a Customer order. This may happen where the requested product is not available or if there is an error in the price or the product description posted on the site. If Shed City reject an order, then Shed City will endeavour to notify the Customer of that rejection at the time of the submitting the order or within a reasonable time after the order is submitted. Shed City will not be held responsible for faulty or failed electronic communication. If the Customer does not receive a confirmation of their order within a reasonable period time it is their responsibility to contact Shed City. Where Products ordered have been revised and/or discontinued, Shed City will supply revised or updated Products with equivalent or better functionality and performance. Shed City is an Australian owned company and all prices are displayed in Australian dollars (AUD) only. No foreign currency will be accepted. Any quotes given by Shed City are estimates only and are subject to alteration without notice. All orders will be Approved by Shed City and once approved prices are valid for 60 days from the date the deposit is paid. Shed City reserves the right to cancel or renegotiate an Order/Contract if it has not been completed within 60 days from the acceptance of the Order. Price means the “Total Price”, “Total Kit Price”, or the “Product Price” as per Shed City’s Order/Invoice confirmation and will normally include all taxes and other charges. Customers may pay the Price for an accepted order with any of the following payment methods: Credit Card, Debit Card, Bank Transfer, cheque or cash. Fees may apply. Non electronic payments can be paid in person to Shed City Sales staff at Shed City premises or directly into Shed City nominated bank account. Electronic payments can be paid at Shed City premises or by a method acceptable by Shed City (e.g. PayPal). If Customers choose to pay by credit card, the Customer authorises Shed City to debit the amount that is payable from the Customer’s nominated credit card. Customers must not pay, or attempt to pay, for product through any fraudulent or unlawful means. Payment is deemed to have been made when cleared funds are available in Shed City’s account. Payments made, whether in full or by instalment, indicate acceptance by the Customer, of the ordered product(s), the price and these Terms and Conditions. The Completion Date is the date that Shed City notifies the Customer that the Product is available for collection or delivery. Unless pre-paid, the date for final payment shall be no more than seven (7) days after the Completion Date. The price or the balance payable to Shed City must be paid in full before collection or delivery of the Product. An Order/Contract becomes a Tax Invoice when the full price has been paid to Shed City. The Customer acknowledges that changes to the approved Order/Contract can only be made at the discretion of Shed City and must be communicated in writing. Once manufacturing of the Product(s) commences any changes to the Order/Contract may incur further costs. Neither Shed City nor the Customer will be liable for any delay in performing any of its obligations under these Terms and Conditions if such delay is caused by circumstances beyond the reasonable control of Shed City or the Customer so delaying, and Shed City or the Customer will be entitled to a reasonable extension of time for the performance of such obligations. Place of Delivery means the Designated Location nominated by the Customer and agreed to by Shed City for delivery of the Product. Designated Location is the location specified by the Customer for delivery of the Product detailed on the approved order, contract, Invoice or entered into the “Delivery Address” of an on-line order with Shed City. Shed City only deliver products to a location where Shed City provide delivery services. Delivery to other locations will be by agreement in writing between the Customer and Shed City. Delivery is quoted for an accessible site and includes up to 20 minutes on site. Additional time on site may be charged at a rate of $15 for each 15 minute block or part there off. For the efficiency of Shed City’s production and delivery procedures, it may be necessary for Shed City to deliver the Products by instalments in any sequence. The Customer may not cancel the Contract where Products are delivered by instalments. Any dates provided by Shed City for the delivery of the Products are estimates only and will not form part of the Contract. The actual delivery date will be affected by factors such as availability of materials, clearance of payment, Customer’s location and availability of transport providers. Shed City will not be liable for any delay in delivery of the products and/or services, howsoever caused. The Customer or Customer’s Agent must check the quantities and condition of materials on delivery or collection. Any shortage or damage must be noted on the despatch docket at the time of delivery or collection. Unless noted on the Despatch Docket a claim for shortage or damage may not be upheld by Shed City. Where a delivery is to site and the Customer or Customers Agent is not in attendance to unload, our driver will endeavour to affect delivery as close to the site as possible. In these instances Shed City will not accept claims for damage to product during unloading or claims for pilfering or shortages of part or all of the delivery made. In the event that the Product(s) is returned to Shed City and not as a result of any default by Shed City of the terms here in, a subsequent delivery charge will be imposed. All ordered Product(s) remains the property of Shed City until Final Payment is made and cleared funds are available to Shed City. All items purchased from Shed City are made pursuant to a shipment contract. This basically means that the risk of loss and title for such items pass to you upon our delivery to the carrier. Unless the Customer notifies Shed City to the contrary on the day of delivery, and such notification is confirmed in writing within two days, the Products will be deemed to have been accepted by the Customer. The company provide top quality materials, however reserves the right to use “Touch-Up” paint to repair any marks or scratches on coloured cladding or other coloured items. The use of “Touch-Up” paint is not a reason for rejecting delivery or not accepting a Product. Nothing in clause 58 affects a Customer’s right to claim against Shed City for a faulty product under Warranty, or under their rights under statute. Title to and risk in the Product(s) passes to the Customer upon delivery of the Products to the Customer’s “Designated Location”. All risk in the goods shall pass to the Customer whether present or not upon delivery of the Product(s) to the Designated Location or on collection of the goods by the Customer or its agent or courier, as the case may be. The Customer is responsible for the safety and security of all materials on site and is advised to insure the Product(s) against theft and damage. In addition, the Customer is advised to cover all materials to protect them from rain or from absorbing moisture during the period between when the materials are delivered and when the Product(s) is fully constructed or used. Shed City and its Suppliers will not be responsible for any deterioration or discolouration of any materials should the Customer fail to protect the materials from the elements. The Customer is responsible for obtaining appropriate building authority permit(s) and further, the Customer is responsible for the erection of the Product. 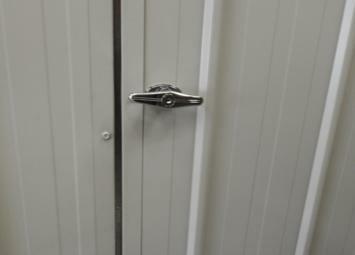 Installation/erection is not the responsibility of Shed City which only manufactures and supplies Products. The Customer acknowledges that it is his/her responsibility to obtain and pay for all building or other authority permits, including any charges related to supporting information required (for example copies of Title), all required insurances and all authority charges and fees. The Customer acknowledges that in addition to any other legal remedies available to it, Shed City has the right to resell, dissemble or dismantle the Product for its own use any Product(s) for which payment in full has not been received within 28 days of the Completion Date. The Customer’s payment or payments will be forfeited. The Customer agrees to pay a storage fee for a fully paid Product(s) that which remains in Shed City’s possession more than 28 days after the Completion Date at the rate of $10 per day. Product(s) not fully paid for by 28 days from the Completion Date, maybe charged at the rate of $50 per day until the full amount is paid on the account of storage and other overheads until delivery or collection. The Customer acknowledges that any payments made to Shed City towards an approved Order/Contract will be applied immediately towards services, materials and components which form part of the Product(s) ordered. If the Customer cancels an Order/Contract then any and all payments are forfeited. Custom cut or custom made products may only be cancelled prior to the cutting or the making of the Product(s). If the products have been made the order will not be able to be cancelled. Administration costs, overheads and loss of profit. The skilled assistance provided to support the Customers applications to any and all local and other authorities including the provision of drawings, plans and permit assistance and resolving issues related to these. Whether the Customer has provided evidence that local or other authorities have refused to issue a Building Permit, grant Planning Approval or some other required Permit or Approval. Evidence that the Customer has used their best endeavours to complete the order. Whether the Product is a standard Product or not. All Shed City engineering, structural and other support documentation have been returned. A Statutory Declaration is provided stating the reasons for cancellation and stating that construction of a Domestic outbuilding will not proceed, and that any and all paperwork, or any other supporting details and documentation will not be used for any purpose. The Customer acknowledges that the Product(s) is to be installed as per standard engineering and building practices and in accordance with the Shed City design and supporting documentation, a copy of which will be provided on request to the Customer. Products supplied may vary from those displayed or previously supplied. Shed City will change designs and products from time to time as it requires and specifications are subject to change without notice. The Customer accepts that Shed City’s policy may result in differences between the specification of Products delivered to the Customer and the specification of Products ordered. Steel products from various sources may be used in supplied products. The Customer acknowledges that Shed City supplies Products only and no responsibility is accepted by Shed City for the cost or performance of any independent contractors, builders or installers. Where applicable, the Customer also acknowledges that they will either act as an Owner Builder or engage appropriately qualified independent contractors to carry out any or all work related to the installation or erection of the Ordered Product. The provision of details of independent contractors by Shed City is purely to assist the Customer and does not represent a recommendation or endorsement of any or all independent contractors. The Customer acknowledges that they will contract directly with the independent contractor and that Shed City does not act in any way as agent for any and all independent contractors. The responsibility for compliance with local authority requirements (for example: Councils and Water Authorities) rest solely with the Customer and not Shed City or any independent contractor. The Customer shall give the independent contractor full details of the work required. Prior to commencement of installation work, the Customer should clearly define the position and datum level (top of concrete) of the product including the location of any doors, windows, skylights or down pipes. Where independent contractors are used, Shed City recommend that the installation be fully supervised, during which time queries or clarifications may be referred to Shed City by phone. The Customer shall make payments directly to the independent contractor for works undertaken by them. On large Products sensible progress payments should be made, however ONLY when the Customer is COMPLETELY SATISFIED should the final payment be made. Shed City Products are designed for specific applications and purposes to work under specified operating and environmental conditions. The Customer agrees to only use the Product in accordance with any manual, any specified operating conditions or engineering specification. The Customer’s use of the Product other than in accordance with any manual, operating instructions, engineering or other specifications may adversely affect the Customer’s rights. Prior to taking delivery or collecting the goods the Customer conducted a thorough examination of the goods and no warranty, condition, description or representation in relation to the goods is given by Shed City, expressly or implied by this agreement. All warranties, terms and conditions, in relation to the state, quality or fitness of the goods and every other kind whether implied or use, statute or otherwise is hereby excluded as is permissible by law. The Customer is entitled to a replacement or refund for a major failure at the discretion of the supplier/Shed City. Customers may be entitled to have the goods repaired or replaced if the goods fail to be of acceptable quality and the failure does not amount to a major failure. This Warranty is given in place of all excludable warranties, conditions, terms, undertakings and obligations implied by statute, common law, trade usage, course of dealing or otherwise including warranties or conditions of merchantability, fitness for purpose, satisfactory quality and/or compliance with description, all of which are excluded to the fullest extent permitted by law. Unless specified otherwise and in addition to any rights the Customer may have under statute, Shed City warrants to the Customer that Shed City products will be free from defects in materials and workmanship affecting normal use for a period of one year from the delivery date. These r warranty rights are in addition to your statutory rights as a consumer. This Warranty does not cover damage, fault, failure or malfunction due to external causes, including accident, abuse, misuse, problems with electrical power, repairs not authorised by Shed City, usage and/or storage and/or installation not in accordance with Product instructions, failure to perform required preventive maintenance, normal wear and tear, act of God, fire, flood, war, act of violence or any similar occurrence; any attempt by any person other than Shed City personnel or any person authorised by Shed City, to adjust, repair or support the Products and problems caused by use of parts and components not supplied by Shed City. 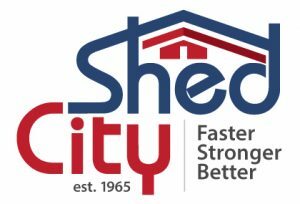 Under this Warranty, Shed City will repair or replace Products returned to Shed City’s facility. Shed City will ship the repaired or replacement products to Customer freight prepaid. products which are not manufactured by Shed City. Shed City will provide support to the Customer for Third Party products. Shed City does not manufacture its Third Party products, and may not be able to provide repair facilities or spare parts in relation to them. The Customer acknowledges that the reasonable time for Shed City to repair or replace Third Party Products is longer than the reasonable time for the manufacturer to repair the same product. Third Party Products may be accompanied by their manufacturer’s standard warranties. The Customer acknowledges that where support is required in relation to Third Party Products it may be more efficient and expedient for the customer to seek support under the manufacturer’s standard warranties, at least at first instance. Under this Warranty, Products presented for repair may be replaced by refurbished goods of the same type rather than being repaired. Refurbished parts may be used to repair the Products. Your warranty will be valid when the Customer Warranty will be valid from when the full price of the Products covered by the warranty has been paid and will operate from the date of delivery. The Customer must notify Shed City in writing of any Warranty claim. Shed City endeavours to be as accurate as possible with all information provided including information available online. However, Shed City do not warrant that product or service descriptions, instructional guides or other documentation online or in hardcopy is accurate, complete, reliable, current or error free. Any advice contained in any document is general advice only and may not apply to your individual circumstances. Shed City will provide general service, advice and technical support to the Customer via telephone. Shed City will not be liable in contract or in tort for any loss or damage suffered and the Customer’s rights are limited to those set out in these Terms and Conditions and under statute. For goods and services Shed City’s total liability in respect of each event or series of connected events will not exceed the total price paid for the purchase of products and/or services under these Terms and Conditions. The Customer will indemnify Shed City and keep Shed City fully and effectively indemnified against any loss of or damage to any property or injury to or death of any persons caused by any negligent act or omission or wilful misconduct of the Customer, its employees, agents, engaged independent contractors or sub-contractors or by any breach of its contractual obligations arising out of these Terms and Conditions. To the extent permitted by law, any typographical, clerical or other error or omission in sales literature, quotation, price list, acceptance of offer, invoice or other documents or information issued by Shed City will be subject to correction without any liability on the part of Shed City. in the case of services, the supplying of services again; or the payment of the cost of having services supplied again. Shed City accepts no liability for damage caused by a delivery vehicle entering or operating at the Customer’s Designated Location. Any dispute relating in any way to your visit to Shed City or to products you purchase through Shed City shall be submitted to confidential arbitration in Victoria, Australia, except that, to the extent you have in any manner violated or threatened to violate Shed City’s intellectual property rights, Shed City may seek injunctive or other appropriate relief in any State or Federal Court in the State of Victoria, Australia, and you consent to exclusive jurisdiction and venue in such courts. Arbitration under this agreement shall be conducted under the rules then prevailing in Victoria. The arbitrators award shall be binding and may be entered as a judgment in any court of competent jurisdiction. To the fullest extent permitted by applicable law, no arbitration under this Agreement shall be joined to an arbitration involving any other party subject to this Agreement, whether through class arbitration proceedings or otherwise. Customer – the address and contact details entered on the Order/Contract. When you visit Shed City’s website or send e-mails to us, you are communicating with us electronically. You consent to receive communications from us electronically. We will communicate with you by e-mail or by posting notices on this site. You agree that all agreements, notices, disclosures and other communications that we provide to you electronically satisfy any legal requirement that such communications be in writing. 30 minutes after the time sent (as recorded on the device from which the sender sent the email) unless within one Working Day the sender receives an automated message that the email has not been delivered. If either Shed City or the Customer changes addresses for notifications and fails to advise the other party of this change and the correct details of the new address, delivery of notices to that party at that either the new or old address is deemed compliant with the notice obligations under this clause. Certain legislation in Australia may provide consumer guarantees or impose obligations on Shed City which cannot be excluded, restricted or modified, or only to a limited extent. These Terms and Conditions are subject to such legislation, including without limitation Australian Consumer Law. Subject to the above, these Terms and Conditions are governed by and construed in accordance with the laws of Victoria and are subject to the non-exclusive jurisdiction of the courts of Victoria. Headings in this document are for convenience only and shall not affect the interpretation of these Terms and Conditions. Any indulgence by one party to another or failure to enforce a provision shall not prejudice the rights of that party herein nor be deemed to be novation hereof or a waiver of the parties rights against the other. No variation modification or waiver of any provision as set out herein (including this sub clause) or consent to any departure here from shall be of any force or effect unless in writing signed by both parties. The Order/Contract constitutes the entire agreement between the parties and no representation, warranties or guarantees or other terms and conditions whether expressed or implied of whatever nature not contained or recorded herein have been made or agreed. The Customer must not assign or otherwise transfer any Order/Contract or any of its rights and obligations under these Terms and Conditions whether in whole or in part without the prior written consent of Shed City. Any such unauthorised assignment will be deemed null and void. No failure or delay on Shed City’s part in exercising any power or right under these Terms and Conditions operates as a waiver, nor does any single or partial exercise of any power or right preclude any other or further exercise, or the exercise of any other power or right. If any Provision of the Order/Contract is voidable by any party unenforceable or illegal it shall be read down so as to be valid and enforceable or, if it cannot be so read down the provision (or where possible the offending word) shall be severed from this Order/Contract without effecting the validity, legality or enforceability of the remaining provisions (or part of these provisions) of the Order/Contract which shall continue in full force and effect. Where the Customer is a Corporation duly registered pursuant to the Corporations Law of Victoria the officer (“the Authorised Officer”) who signs on behalf of the Customer signs in his or her capacity and accepts liability for the whole of the purchase price of the Product(s) jointly and severally with the Customer. The Authorised Officer acknowledges that Clause 145 imposes a separate and additional obligation and agrees to indemnify Shed City against all losses and expenses incurred by Shed City whether directly or indirectly as a result of the default of the Customer.